Any good meal ends with a great dessert. So it seems to make sense that we end Goat Week with some goat milk ice cream. 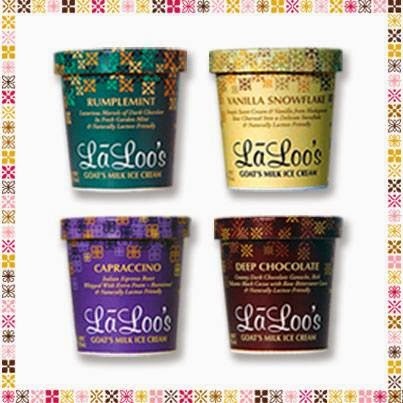 I was lucky enough to be sent a shipment of Laloo's Goat's Milk Ice Cream from Petaluma, Ca. 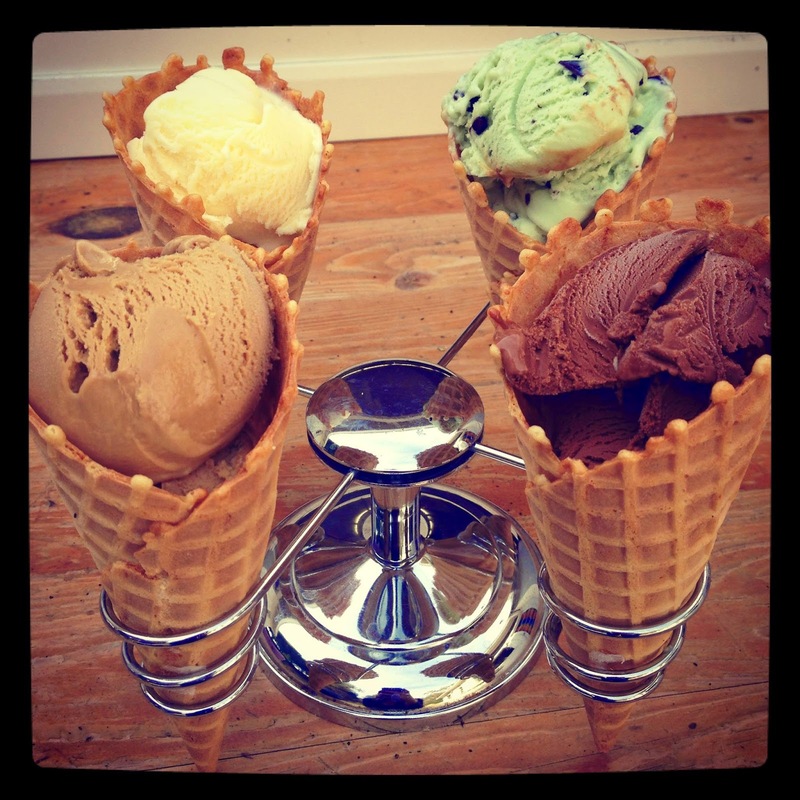 They currently have four flavors: Vanilla Snowflake, Rumplemint, Capraccino, and Dark Chocolate. I hope they come out with more flavors soon because I'm more of a fruit flavored or swirl girl. As I mentioned earlier this week, goat milk is often an alternative for people that suffer lactose intolerance because the lactose level is much lower than cow milk. Therefore, after I tasted each one, I gave a couple of pints to Susan to taste test since she suffers from lactose intolerance. She was thrilled to help. 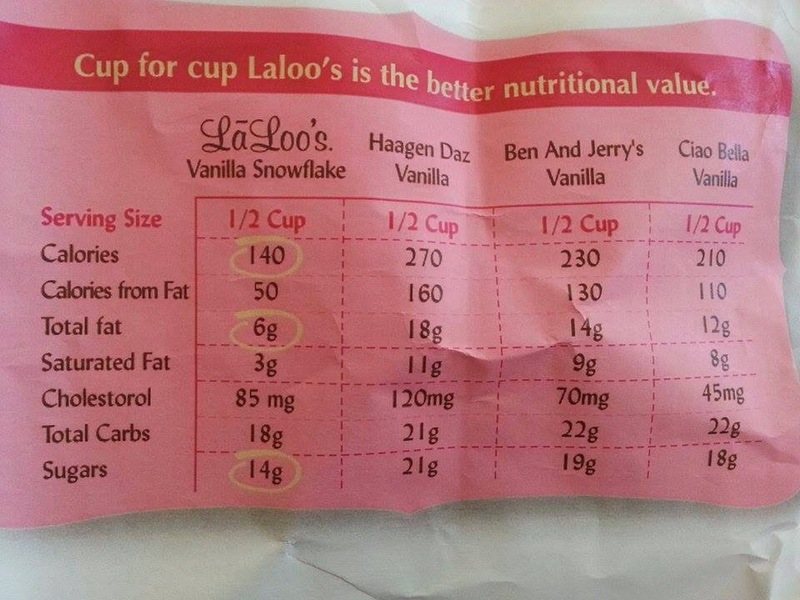 Even better is that Laloo's ice cream has about half the calories of the equivalent amount of Haagen Daz or Ben & Jerry's! Plus a lot less sugar and fat! Susan and I agreed, the flavors were wonderful. I particularly liked that the slight goat milk flavor actually accentuated the vanilla for me. The chocolate is extremely chocolatey, made with Scharffen Berger's 77% dark chocolate. The ice cream is easy to scoop (not rock hard) and nice and creamy. They were even kind enough to send a couple of pint coozies to keep the pints insulated while not freezing your hands when you eat. So, as we end Goat Week, please be sure to go out and try some goat milk products. They are better for you than cow's milk, and really tasty too.